For sales, marketing, branding, and special events, it is hard to find a more eye-catching way to attract attention than a well-designed banner. 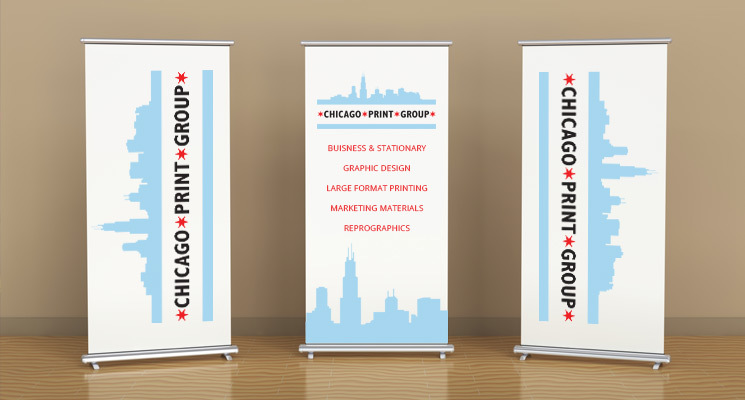 Banner printing is one of our many specializations at Chicago Printing Group, and we offer a range of different sizes, styles, and options in all of our large format printing services. Banners can be used for any type of event or activity, including parties, community events, sporting activities, sales, and of course at trade shows. They can be colorful and vibrant or simple and elegant. Banner printing and custom banners require careful consideration to create a balanced look across the larger surface. They have to be printed on special printers that provide a seamless and highly professional end product that is truly going to make a statement. Banners are often designed to include corporate logos and colors. 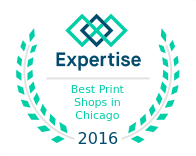 With our state of the art printing equipment, we can provide the colors, designs and the size of banner you need for any type of use in Chicago or anywhere else in the county. A retractable banner is a great option for a display area or for a trade show. These are like the old style of projector screens. The banner rolls up into the base of the display to keep it protected and also provide a portable display. We offer a full selection of retractable banners in different sizes and styles. We can coordinate all our large format printing services to create a perfectly matching advertising program for any size of venue or space, just call us today at 312.251.1962 to discuss your needs.